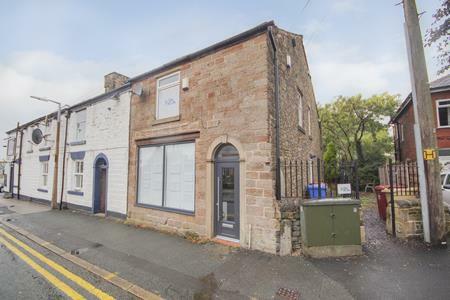 The subject property which was extensively refurbished in 2014 is a two storey end terrace retail premises. It is of stone construction underneath a pitched slate roof. The ground floor retail premises is open plan with a rear kitchen previously used as a letting agents office. The property is carpeted with electric wall heaters and gas central heating. The first floor is tenanted with separate access via a side entrance and stairs leading to an open plan office as well as a shared WC.